Frank Crossman has been a member of The Mars Society since 1999. He has served as Editor of the Mars Society Convention Proceedings that produced two hardcopy books containing selected papers presented during the first 7 years of the Society. As Chief Archivist of The Mars Society he currently serves as editor of the on-line archives of The Mars Society - MarsPapers - (www.marspapers.org) which today contain over 600 papers or presentations contributed by Mars Society Convention authors as well as additional Mars related papers and presentations submitted independently by authors. Since 2017 Frank also serves on the Marspedia Governing Council and the Marspedia Editorial Subcommittee. 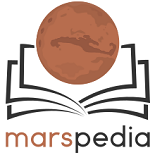 Helped establish the Marspedia Category Hierarchy and added equivalent hashtag categories to 900 videos on the YouTube Mars Society Channel. Mapped the Keyword List of Categories used for MarsPapers to the Marspedia Category Hierarchy. Dr. Crossman retired from from Lockheed Martin in 1998. He now does some technical consulting, acts as Chief Archivist of the Mars Society, volunteers with the Midpeninsula Regional Open Space District and Peninsula Open Space Trust, volunteers with two local retirement organizations, is in his 21st year of weekly Spanish Classes, enjoys weekly hikes with The Rambling Wrinklies - another group of retirees, travels regularly with his wife, and often combines his travels and photography with Geocaching in 21 countries, 50 states, and all 58 counties of California. Dr. Crossman was a Consulting Professor with the Department of Materials Science and Engineering at Stanford University. He has guest lectured on composite structural mechanics and design topics at several universities including: Stanford, Cornell, Utah, UCSB, Texas A&M, VPI&SU, San Jose State University, and UC Berkeley. Dr. Crossman is a graduate of Cornell University (B.S., 1965, Engineering; M.E., 1966, Metallurgical Engineering) and Stanford University (Ph.D., 1972, Materials Science). During 1972-73, he was a Post-Doctoral Fellow in Applied Physics at Harvard University where he studied the micromechanics of polycrystalline deformation and the geomechanics of the folding of geologic strata. In 1997-1998 he was Director of Materials Systems encompassing Lockheed Martin Missiles and Space Advanced Technology Center’s efforts in materials, structures, controls, and NDE that involve technology development and integration into LMMS' products. During 1991-1996 Dr. Crossman was the ATC’s Director of three Materials Technologies organizations: Chemistry, Structures, and Materials Applications. From 1989 through 1990, Dr. Crossman was Assistant Director and then Director of Telecommunications, Computer Systems, and Operations in the company's Information Services Division. From 1984-88 he was Manager of the Mechanics and Materials Engineering Laboratory in R&DD. Between 1966 when he joined Lockheed Palo Alto Research Labs until 1983, Dr. Crossman held a series of research engineer and group lead responsibilities. His research was focused on the deformation and fracture mechanics of polymer and metal matrix composites as related to selection and characterization of materials for structural design. Dr. Crossman has published over 50 articles in recognized technical journals and conference proceedings and has co-edited one book. From 1986 through 1993 Dr. Crossman was a member of the National Research Council’s National Materials Advisory Board. He was also past Chair of the Board of Governors of the NSF sponsored Institute for Mechanics and Materials at UCSD and a member of Industrial Advisory Board of MIT's Materials Processing Center . Dr. Crossman is an Associate Fellow of AIAA and was a member of the SAMPE National Student Scholarship Committee. He has been Chairman of the Aerospace Division of ASME, a member of the Executive Board of the American Society for Composites, and Santa Clara Valley chapter chairman of ASM International. This page was last edited on 9 April 2019, at 14:11.